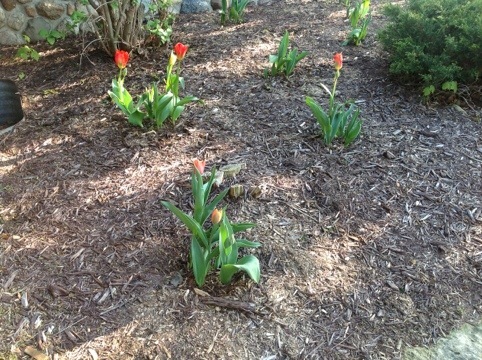 My tulips seem a bit behind the neighbors, but they’re still pretty. So far, red, yellow and a bit of orange. 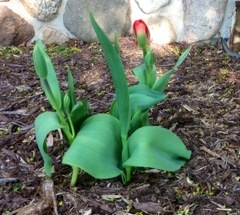 The first tulips are showing some color, and I think they’re red. Or maybe hot pink. I guess they could be orange, too. The buds haven’t fully opened, so it’s hard to know for sure. Only three or four have buds so far, but the others were a little behind poking up from the ground, so I think the color will come in waves. 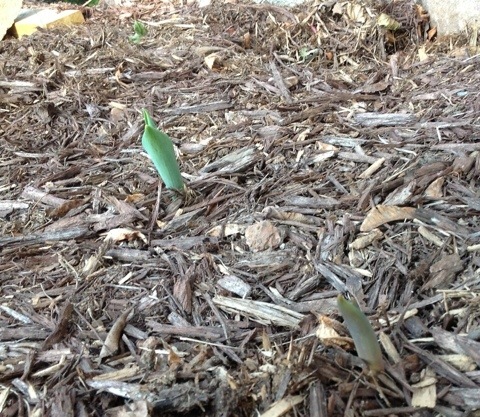 But that begs the question — just how long will a bloom last once the tulip flower fully blooms? One week, two weeks? More? I’ve seen answers all over the place, from 1-4 weeks. My neighbor has some that have been blooming for about a week and they seem to show no sign of wilt. 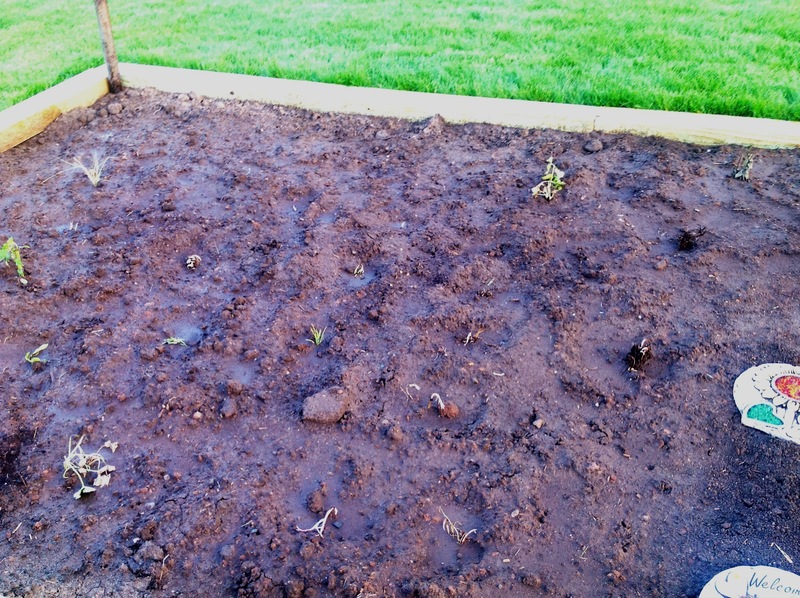 And another thing — because it’s the first year for my tulips, will they bloom differently this year? Will they all bloom?